State Library Victoria – Did Daylight really come second? 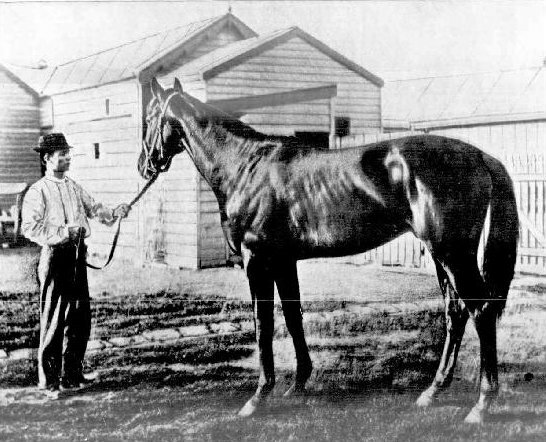 When Newhaven won the 1896 Melbourne Cup by a large margin his win was described thus, ‘Newhaven first, daylight second, and all the other horses much further back’. It was the birth of a popular expression, although it was actually Bloodshot which came second in the ’96 Cup. The common thought was that the expression ‘daylight second’ derived from Newhaven’s win but he had won a number of major races leading up to the Cup, each of them by big margins. Newhaven. A Derby favourite; from The Australasian, May 2, 1896, pg 25. Newhaven’s win in the Spring Stakes at Randwick in September 1896 was described using the ‘daylight second’ expression (see the 5th paragraph in this article). The Victoria Derby, only a few days before the Cup, saw him win by several lengths and again the newspapers used the same expression. When it was first used is difficult to say but it forms part of the rich tapestry of popular culture, incidents and tales associated with the Melbourne Cup. 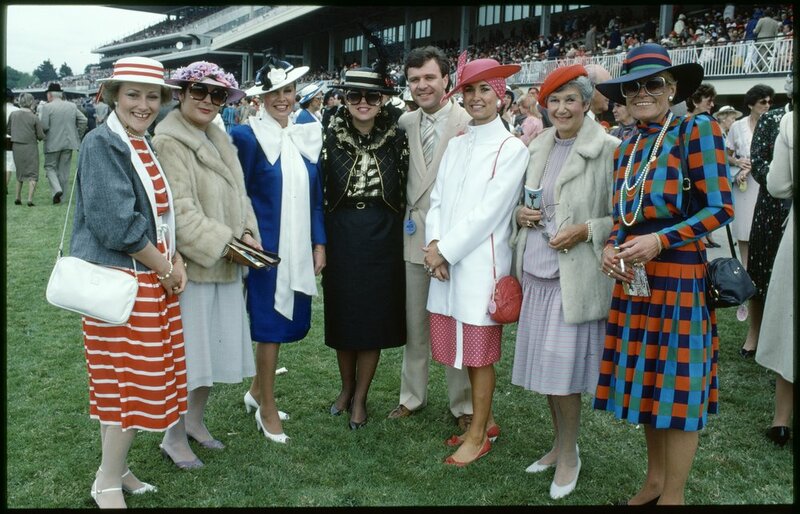 Another traditional part of the Cup is the fashions. 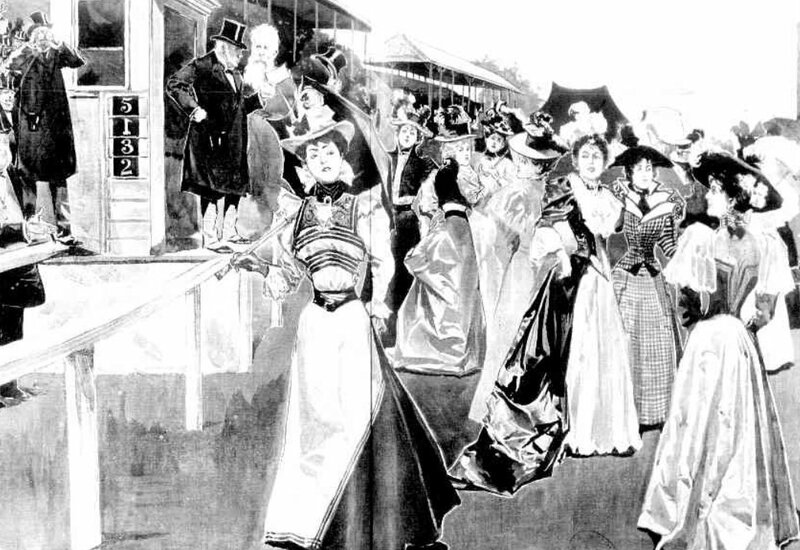 Since 1962 there has been an official competition known as ‘Fashions on the Field’ but the idea was suggested long ago by the Melbourne Punch in this comical piece published on the 28 October 1897. We’re more inclined to make a FUSS about the ladies and their dress. And in no very distant year the racers will not count a bit. The Melbourne Cup will go to her whose dress is best for style and fit. will back his fancy as of yore. and proud will be the belle of this the greatest “cake walk” of the world! David Medwin designs [Melbourne] Cup 83 by Rennie Ellis, H2010.104/180. This work is in copyright. In contrast to the frivolity of the fashions and the partying is the serious business of preparing horses to win a major race. In the early days of the Cup the time it took to travel to major race meetings was considerable. Trainers and owners were keen to make the most of their participation. This meant horses raced as frequently as possible during a major carnival. Sometimes they raced twice on the same day. When Columbus ran fourth in the 1879 Cup it may have been because he was a bit tired after having finished second in another race that same day! Have you any Cup memories that add to the folklore? The State Library of Victoria is a great repository of the Cup’s history. We hold many books, pictures, newspapers and other material which capture the stories over the 153 year history. For an introduction to the relevant collections check out our Melbourne Cup Research Guide, and these online galleries of Melbourne Cup images. Tim is the Manager of Victorian and Australian published collections at the State Library of Victoria.